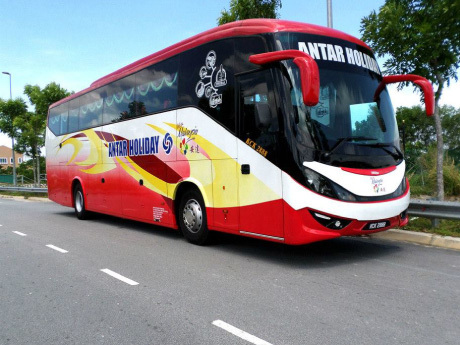 Antar Holiday is currently headquartered in Alor Setar, Kedah, and have been providing routes within the borders of Malaysia, Singapore and Thailand. Currently, Antar Holiday is the only bus operator that provides services from LCCT to Genting Highlands. There are also bus trips provided to Genting Highlands from Kedah itself or from their headquarters to Singapore and Kuala Lumpur. Address : Lot 2888, Jalan Kuala Kedah, 05400, Alor Setar, Kedah. CatchThatBus offers online bus tickets to many routes covered by Antar Holidays as well as seat availability features. You can book your bus ticket online from our website or via mobile app which can be downloaded for free on Google Play or App Store.